1. Focus on the Customer. Always. One risk with setting up a sales incentive program is your employees can become so focused on hitting their numbers that they don’t prioritize the customer. According to Bain & Company, contests that reward individuals or teams with prizes for hitting or exceeding sales goals can lead to overselling at the end of a promotional cycle, or even tempt employees to resort to unsound work-arounds to get the sale. It is important that your team understands that their goal should always be to help customers find the right solutions for their specific needs. Rather than just pushing a particular product or service, employees need to be active listeners so they can provide strategic, tailored recommendations to customers. If you can’t find this sweet spot for your goals, you could end up either with employees who can’t hit their numbers, or with minimal sales growth and a team that remains at the status quo. Establish clear parameters for the goals you set, so they are appropriate for the responsible parties. 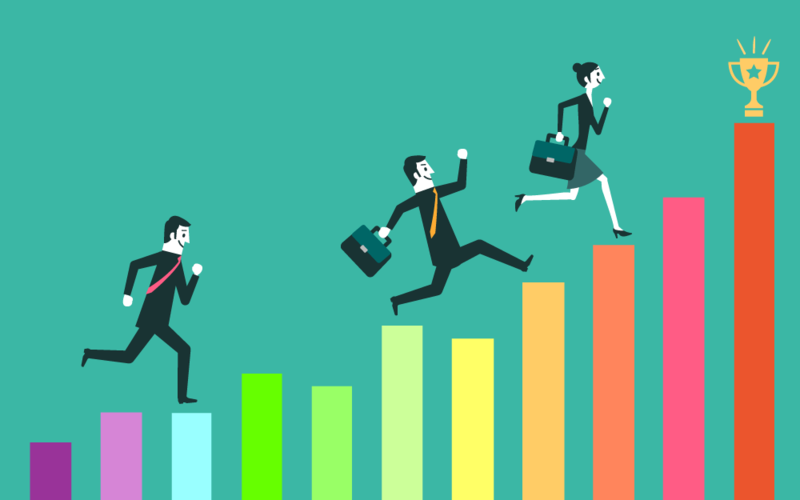 Employee goals are a fundamental component of any incentive program and should always align with your organization’s overall strategic direction. In order to keep your employees engaged with the program, you’ll need to provide them with regular updates on their progress. With real-time results, they’ll always know where they stand and can stay motivated to accomplish their final goals. Having this information readily available is one way to be transparent with your employees about your expectations for the program. It also helps ensure the program remains top of mind for them. If their progress updates are always in front of them, they’ll be more likely to work toward performance improvement and sales growth. An employee incentive program is crucial in driving motivation, which ultimately contributes to employee satisfaction and retention. When employees have clear goals and substantial incentives, they can develop a stronger dedication to their jobs and allegiance to their employers. According to speaker and author Chester Elton, “The customer experience will never exceed the employee experience.” Focus on creating a positive employee experience first, and it will spill over to your customers. Happy, motivated employees will deliver better customer service and higher performance overall, leading to revenue growth and improved business operations. Your employee incentive program can be a powerful tool in making this all happen. The 360 View growth platform includes tracking capabilities to support your incentive program. With 360 View, you’ll be able to see employee results on a daily basis, as well as available payouts via employee scorecards. This real-time data can drive your program, making it more effective over the long run. Want to learn more about using 360 View for your employee incentive program? Schedule a demo with our team, and we’ll show you how it works!